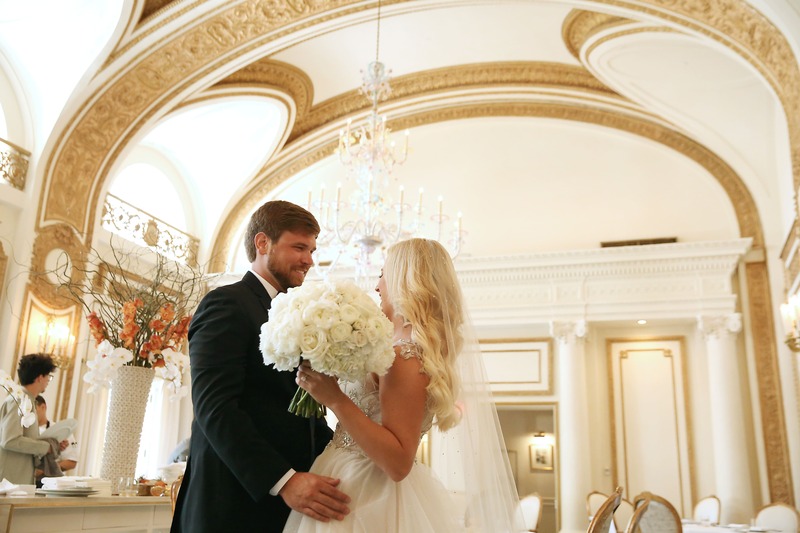 When Alex and JJ were looking for a Dallas wedding planner, they came straight to us. 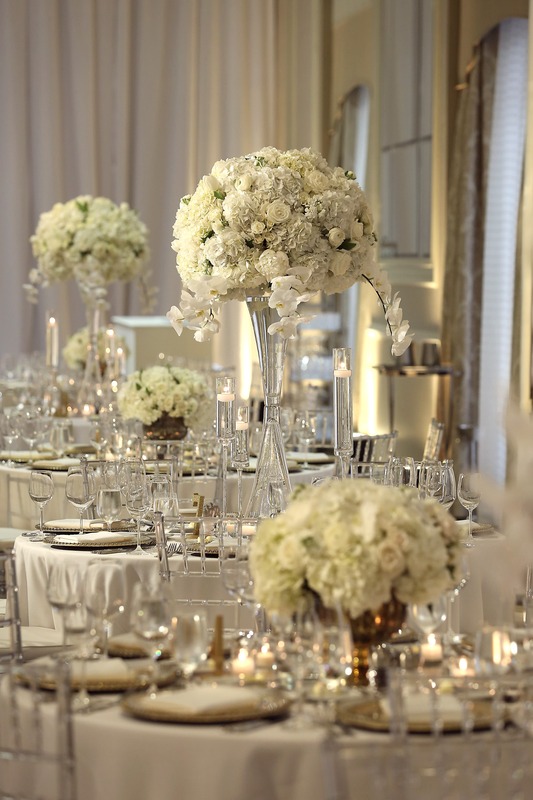 Alex dreamed of a wedding full of true mixed metals while still incorporating a classic bridal look. 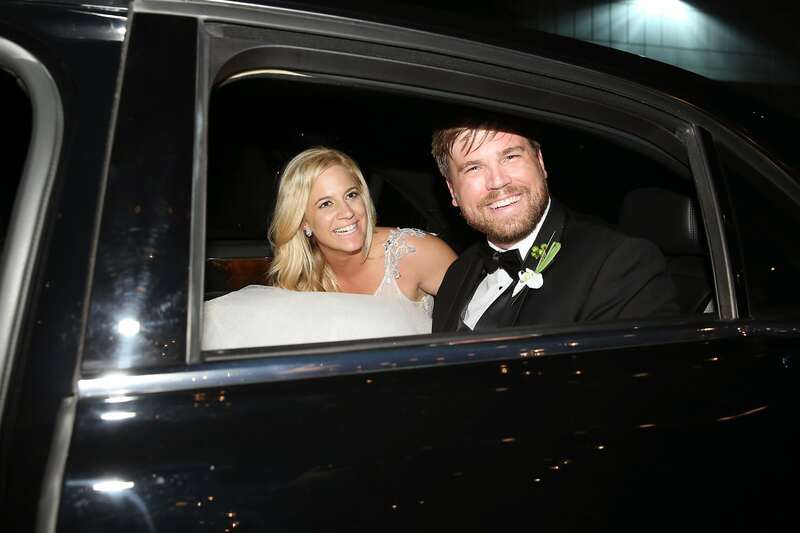 The beautiful bride wore a gown from StarDust Celebrations in Plano, TX. 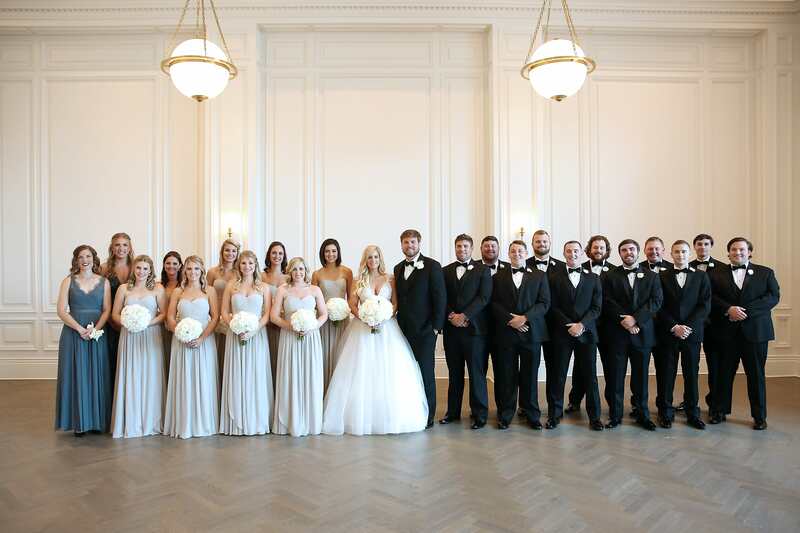 Both the wedding and reception were held at the Aldolphus Hotel in downtown Dallas, Texas. 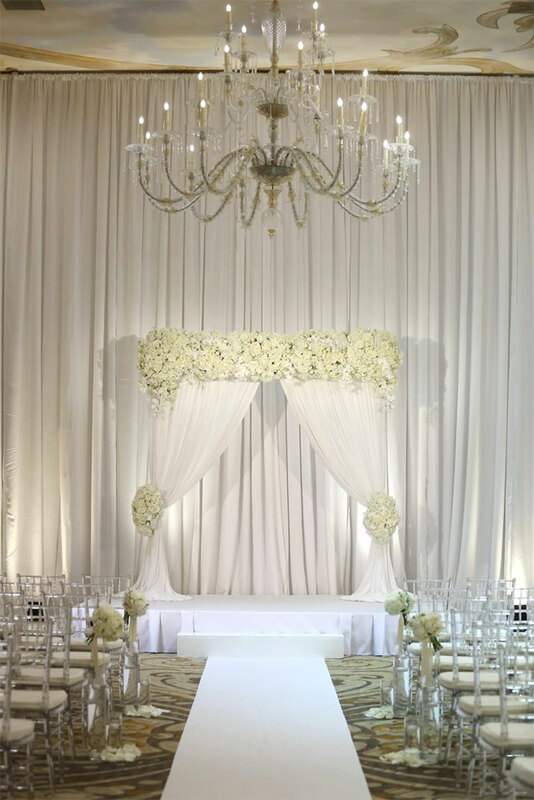 The ceremony included beautiful ivory floral arrangements ( from Belle Decor), a beautiful ceremony arch, a personalized aisle runner and acrylic chivari chairs. 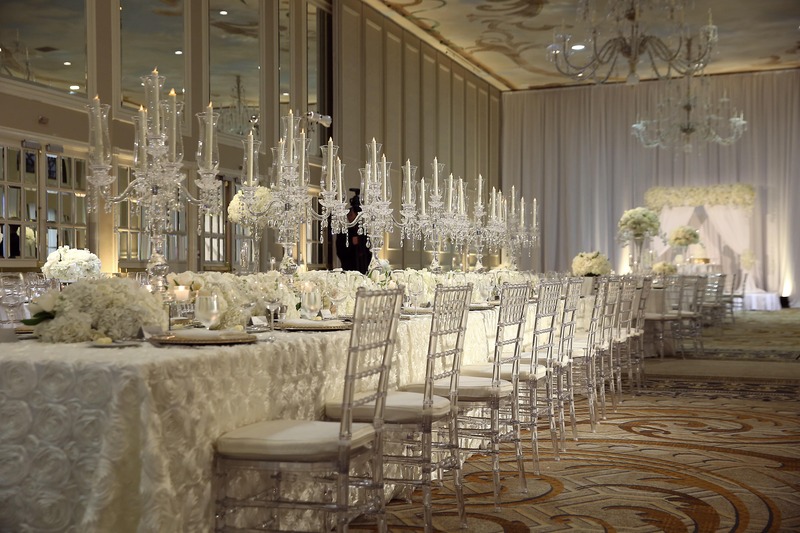 The chairs were chosen to match the glass chandelier in the ballroom, and they pulled the room together perfectly. 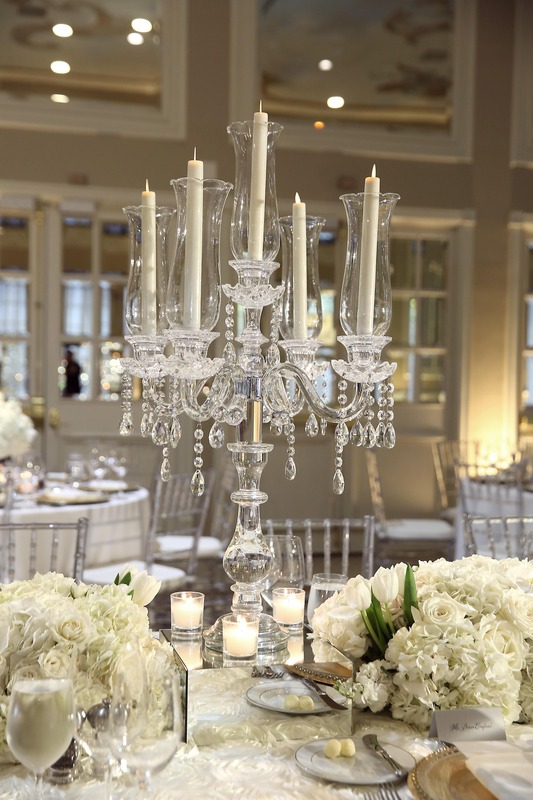 We brought the same stunning seating into the reception, and had beautiful acrylic candelabras on the tables to add some light and drama to the room. 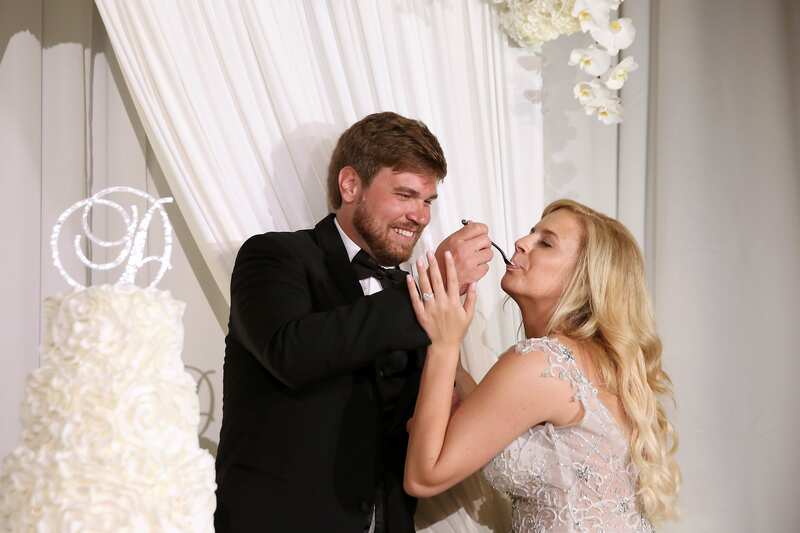 To incorporate Alex’s desire for mixed metals our Dallas wedding planner team created beautiful table settings with gold chargers and silver utensils. 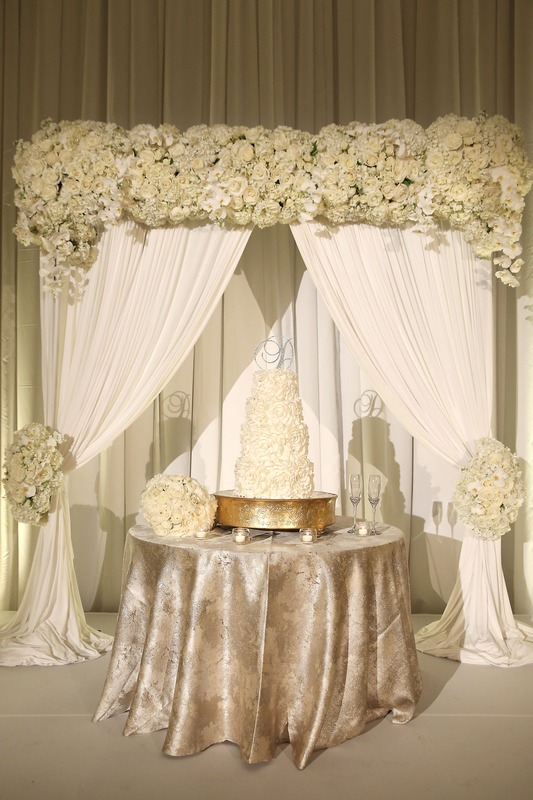 The cake table stole the show with an arch similar to the ceremony arch, a gold cake stand, and a two toned table cloth pulling it all together. 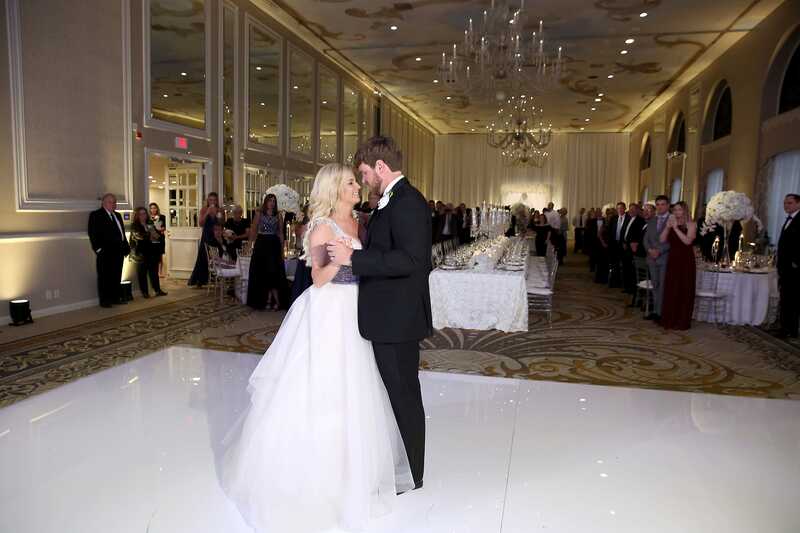 After dancing the night away with their friends and family, JJ and Alex privately shared their final dance of the night. 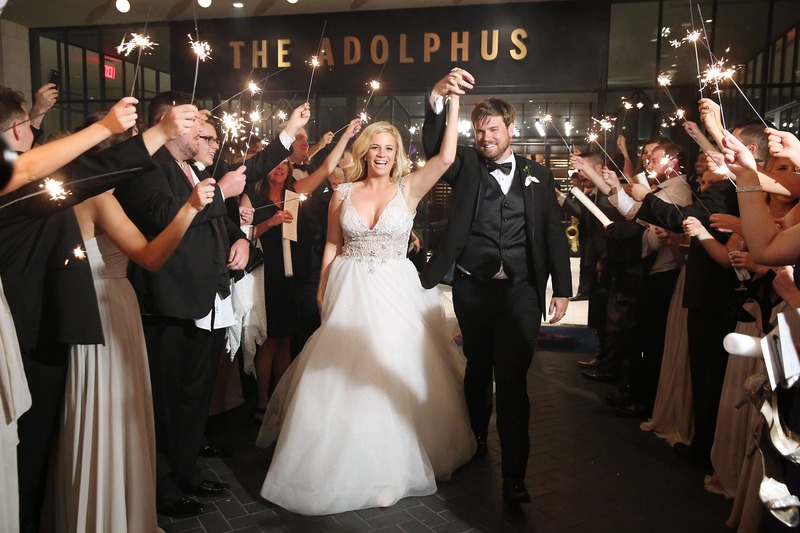 Immediately following, the bride and groom left the Adolphus hotel with a sparkler send off, and were whisked away to start their new life together.